Leadership - Inflammatory Response Research, Inc.
B. Chandler May is a clinical scientist in private practice in Santa Barbara, California. His hospital / clinic practice encompasses more than thirty-five years of experience in General Otolaryngology with an emphasis on respiratory medicine, infectious disease and trauma. Dr. May began his education with a Master’s Degree in Electrical/Mechanical Engineering from Southern Methodist University in Dallas, Texas. Six years of engineering were followed by a year of Graduate Biochemistry, during which time he was also a significant software contributor to the development of a laser guided missile system for the military. His education continued with a medical degree from The University of Texas Health Science Center at Houston followed by a diverse residency: (1) a Pediatric Internship at Children’s Hospital Los Angeles, (2) a year of General Surgery at Kaiser Permanente Medical Center, San Francisco, California, and (3) three years of Otolaryngology at the University of Pittsburgh Medical Center, Eye and Ear Institute, and Children’s Hospital of Pittsburgh. Children’s Hospital Los Angeles and UPMC have been consistently in the top five residency programs in the United States in their respective areas of medicine. Additional formal education includes a legal degree from the Santa Barbara College of Law. Dr. May is the current Chairman of Otolaryngology, Head & Neck Surgery, and Oral and Maxillofacial Surgery at Cottage Health, Santa Barbara, Ca. He is a Fellow of the American Academy of Otolaryngology, Head and Neck Surgery, American Academy of Otolaryngic Allergy, American College of Legal Medicine, and member of the California State Bar. He is both a Qualified and Agreed Medical Evaluator for the California Workers’ Compensation system. As a recognized international speaker he has delivered more than 200 lectures to health-care audiences over the past twenty years. The past eight years have been increasingly involved in the research and development of the combination of levocetirizine and montelukast to treat a myriad of inflammatory disease states. Dr. May has authored original science in eight different medical disciplines. He presently holds 27 issued patents across 12 countries. Loriel May co-founded Inflammatory Response Research, Inc. in 2011 and has since held the position of CFO. Ms. May has strong financial and accounting capabilities with more than 25 years of corporate experience. Prior to founding IRR, Ms. May served as Corporate Controller and Treasurer for IntriPlex Technologies, Inc. As a member of the executive management team, she led the Accounting, Finance, and Human Resource Departments of this fifty million dollar international manufacturing company in the disk drive industry. Her experience with IntriPlex from 1994 through 2011 included several refinancing transactions, acquisitions, and division sales. She additionally managed the due diligence requirements for the sale of the company, a successful multi-million dollar transaction which closed in December 2010. In addition to her extensive corporate experience, Ms. May also brings previous Board experience to IRR. From 2007 through 2010 she served as Trustee for Montessori Center School, Santa Barbara, Ca. She participated in the acquisition of a new site for the school, was actively involved in the recruitment of an interim Head of School, and successfully navigated budgeting challenges in a declining economy. During this time she was a member of the both the Finance and Executive Committees. Ms. May has a Bachelor of Arts in Business Economics from the University of California, Santa Barbara. Dr. Jonathan Gilthorpe, B.Sc. (Hons), Ph.D.
Dr. Gilthorpe holds the position of Group Leader in Translational Neuroscience at the Department of Pharmacology and Clinical Neuroscience, Umeå University, Sweden. He has more than 20 years experience in basic and preclinical research and his group focuses on molecular and cellular pathways associated with neural responses to neurotrauma and neurodegeneration. Jonathan Gilthorpe is from Chesterfield, Derbyshire, UK and graduated from the University of Leeds with First Class Honours in Microbiology/Virology. He completed his Ph.D. in Developmental Biology on the genetic regulation of transcription under the supervisor of Prof. Peter W. J. Rigby FRS at the National Institute for Medical Research, Mill, Hill, London. His postdoctoral career in the UK, USA and Sweden has encompassed many aspects of Neuroscience, from early brain development to circuit formation and neurodegeneration. He worked with Prof. Andrew Lumsden FRS at the United Medical Schools of Guy’s and St. Thomas’ Hospital, London and latterly the MRC Centre for Developmental Neurobiology, King’s College London, working together with Dr. Adrian Pini. He also worked at Stanford University with Prof. Stephen J. Smith. Jonathan moved to Umeå University, Sweden in 2008 to establish an independent research group within the Umeå Centre for Molecular Medicine. In 2011 he took up his current position within the Department of Pharmacology and Clinical Neuroscience where he runs several clinical and preclinical research projects on the molecular and cellular mechanisms of ALS, multiple sclerosis and Alzheimer’s disease. William Pedranti is President of Pedranti Law Group, PC. In the past, in addition to serving as partner at national law firms, Will was the Vice President, General Counsel and member of the Executive Committee of a publicly traded, commercial-stage biotech company that operated globally. He had oversight over all legal operations of the company, including corporate governance, SEC, compliance, regulatory, business development, litigation/disputes, securities and intellectual property functions. Will has gained unique industry insight from his many years of experience serving both in-house as well as an outside advisor to numerous life science companies. 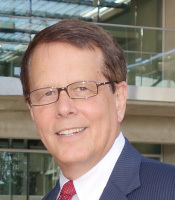 Throughout his career, Will has had extensive experience performing general company representation for both public and private companies, including providing day-to-day legal advice on all aspects of operation and business strategy, as well as attending board of directors and board committee meetings and providing advice to the board on various topics including corporate governance. Will has also provided counsel regarding compliance with SEC and Nasdaq corporate governance standards including the drafting and filing of periodic securities and regulatory reports. Additionally, he has represented companies in various types of M&A as well as other business transactions (both U.S. and international) that have included co-promotion, licensing, clinical study, employment, IT, consulting and confidentiality agreements. Will has represented companies in securities offerings including structuring, drafting and negotiating securities purchase agreements, registration right agreements, certificates of designation, warrants and legal opinions. Will was the chief compliance officer for a biotech company where he oversaw the company’s compliance efforts across multiple disciplines, including providing compliance training, and investigating and resolving compliance matters. He also advised the corporation on FDA regulatory matters. Mark R. Benedict is a partner for Knobbe Martens, one of the largest and fastest-growing IP law firms. He specializes in patent prosecution and strategic intellectual property portfolio management for pharmaceutical, biotechnology and life science clients. Dr. Benedict’s practice includes patent prosecution, counseling on patent infringement, validity and licensing issues, management of patent and other intellectual property assets, intellectual property due diligence studies and related counseling for investors. 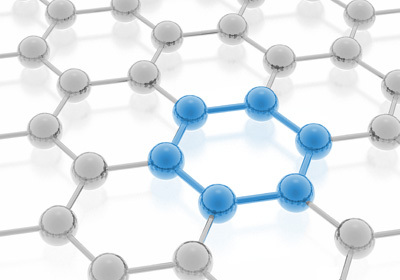 He currently represents clients in a wide range of technology areas, including pharmaceuticals, biotechnology, engineered industrial enzymes, cellulosic ethanol production, animal and fish feed supplements, pigment extraction from plant materials, cosmetic chemistry, medical devices and other life sciences. He also represents a number of foreign associates in procuring U.S. patent protection for their clients in the pharmaceutical and biotechnology areas. Prior to joining Knobbe Martens, Dr. Benedict worked as a Research Assistant Professor of Pediatrics at the State University of New York, Upstate Medical Center, where he conducted basic and clinical research, under grants from the NIH and the American Heart Association, on the molecular and biochemical mechanisms of hormone and growth factor regulation of vascular smooth muscle cell proliferation, differentiation and aging. Prior to joining the faculty, he worked at the SUNY medical school as a post-doctoral research fellow in Pediatric Endocrinology. During his tenure at SUNY, Dr. Benedict published and spoke extensively in the areas of endocrinology and aging. Dr. Benedict joined the Knobbe Martens in 1997 and became a partner in 2003. Mark A. Metzke is an attorney for Knobbe Martens. He specializes in patent prosecution with an emphasis in the chemical and life sciences fields. Dr. Metzke’s practice includes patent prosecution, client counseling on infringement and validity, strategic management of patent portfolios, due diligence studies, and other related counseling. He currently represents foreign and domestic clients in diverse technological fields including small molecules, pharmaceuticals, polymers, nanotechnology, medical devices, nutritional supplements, and other life science areas. Prior to joining the Knobbe Martens, Dr. Metzke worked as a scientist at the Hitachi Chemical Research Center, where he performed research in the area of synthetic drug delivery systems, biomaterials, and strategic product development. Before becoming a scientist, Dr. Metzke worked as a research chemist for Pharm-Eco Laboratories (now Johnson Matthey Pharma Services, Inc.). At Pharm-Eco, Dr. Metzke worked in the area of process development. Dr. Metzke earned his Ph.D. from at the University of California, Irvine, where his research in organic chemistry concentrated on biomaterials. His projects involved synthesizing small-molecule-monomers derived from peptides and saccharides and polymerizing these monomers to afford new classes of biomaterials. Dr. Metzke also tested these biomaterials to determine their suitability in tissue engineering and drug/gene delivery applications. Dr. Metzke published and spoke extensively in the area of biomaterials and polymer chemistry. Copyright © 2016 Inflammatory Response Research, Inc.